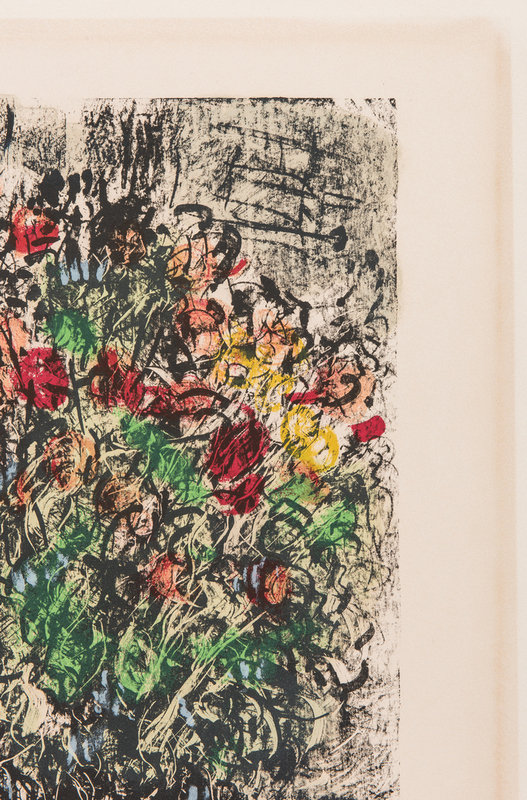 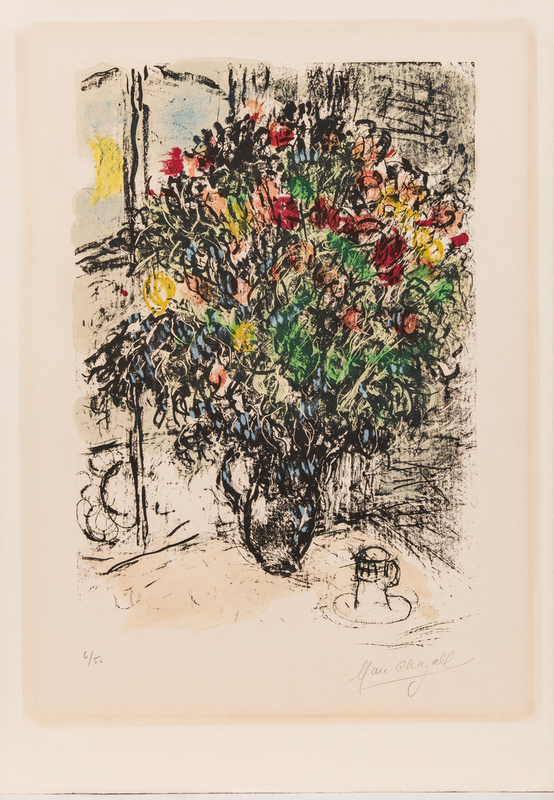 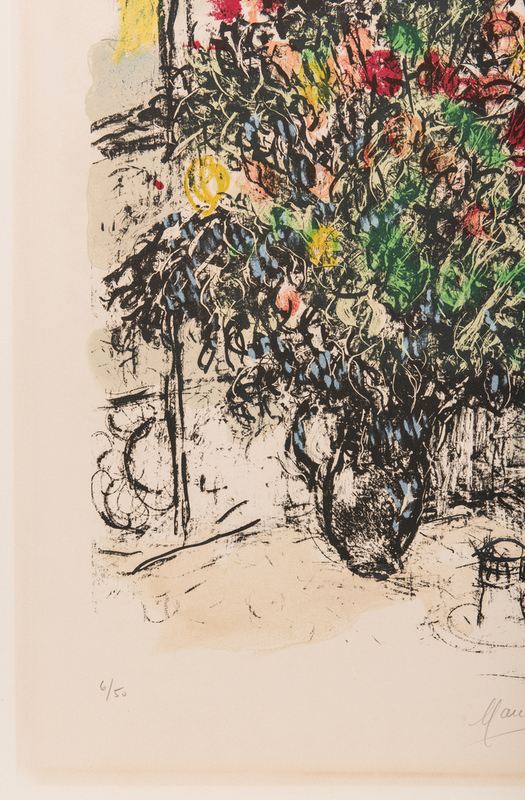 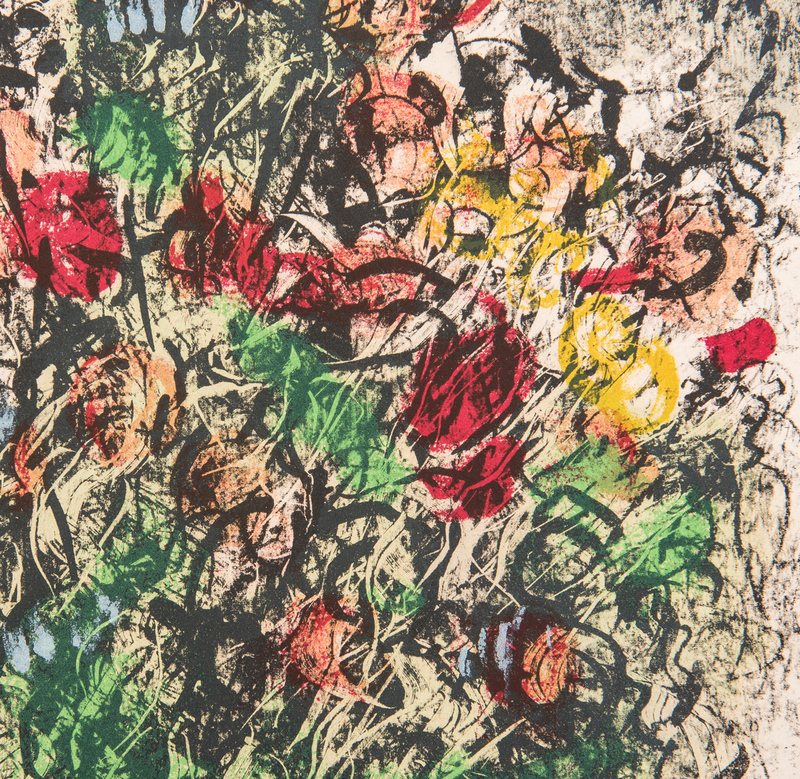 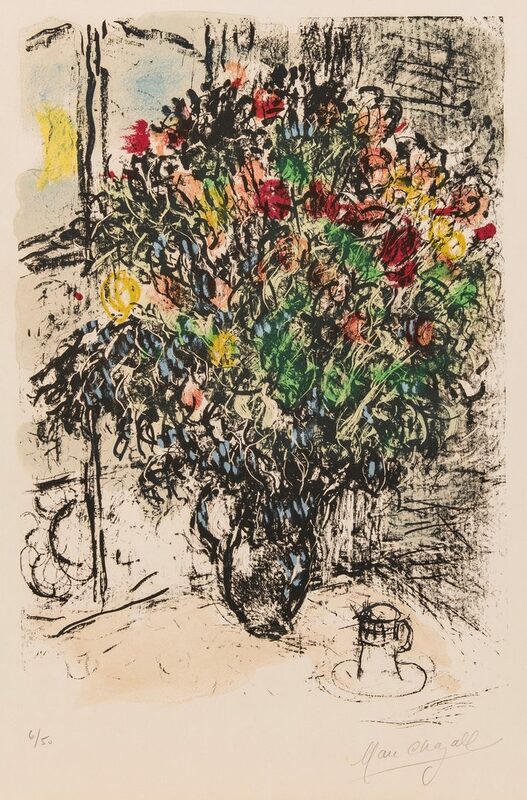 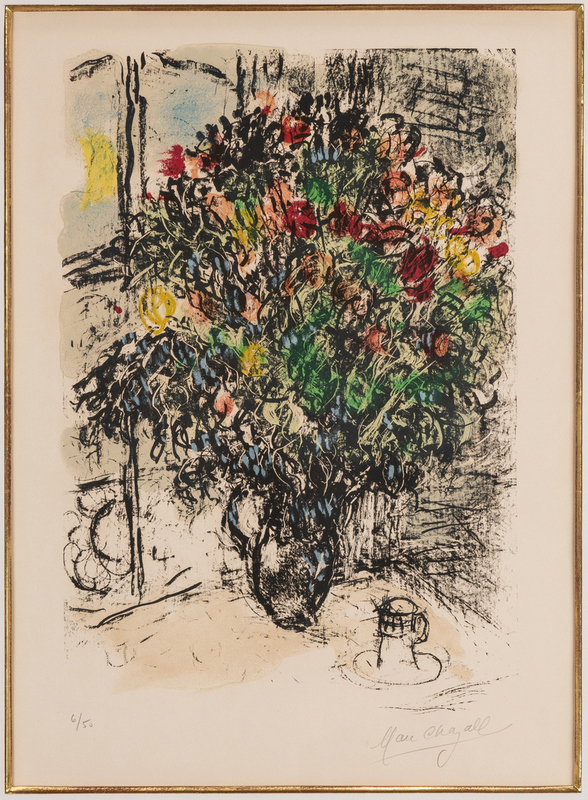 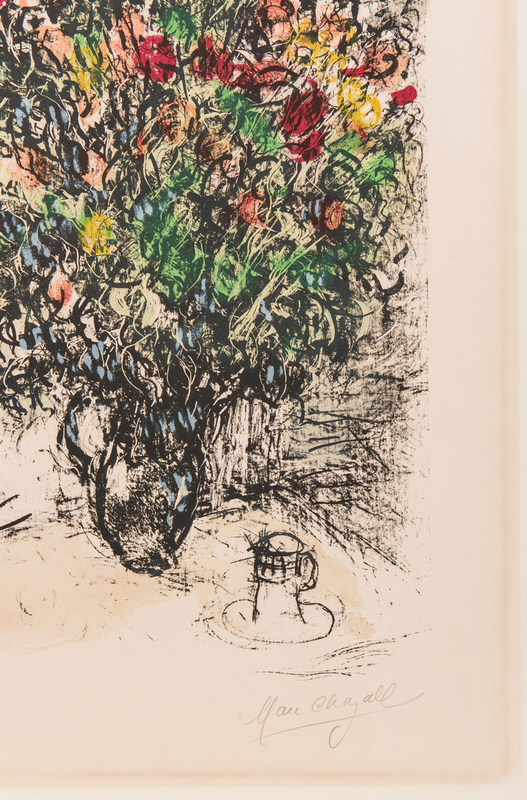 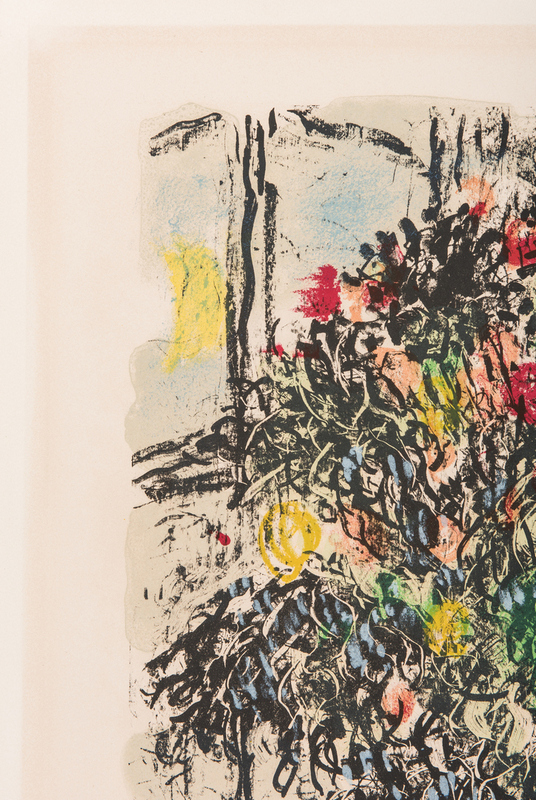 Marc Chagall (Russian/French, 1887-1986) limited edition color lithograph titled "The Red Bouquet (Le Bouquet Rouge)" depicting a large bouquet of flowers resting on a table by a window, with sun in the background. 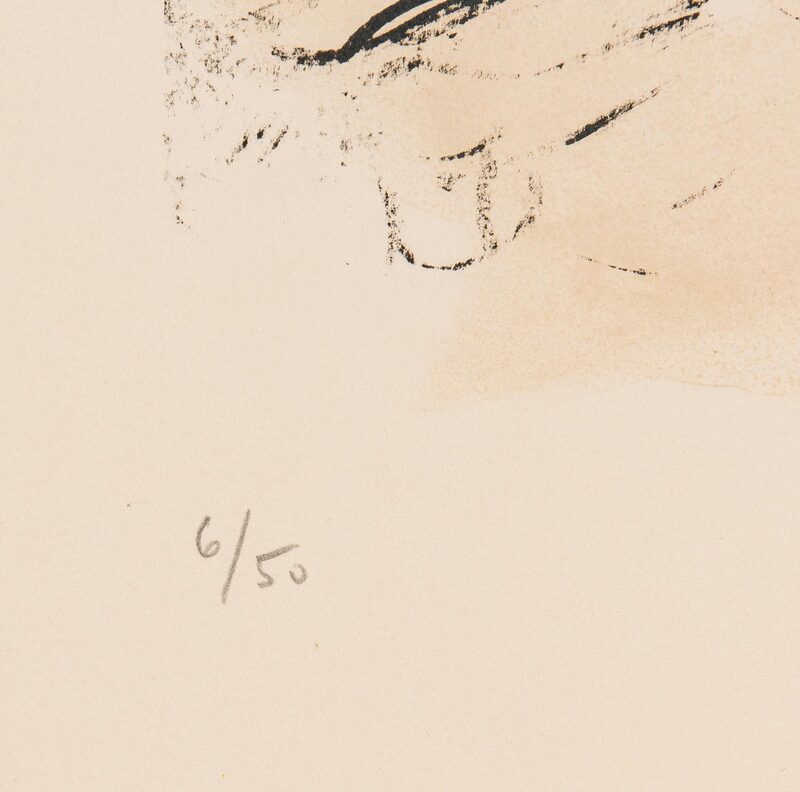 Pencil signed lower right and numbered in pencil 6/50 lower left. 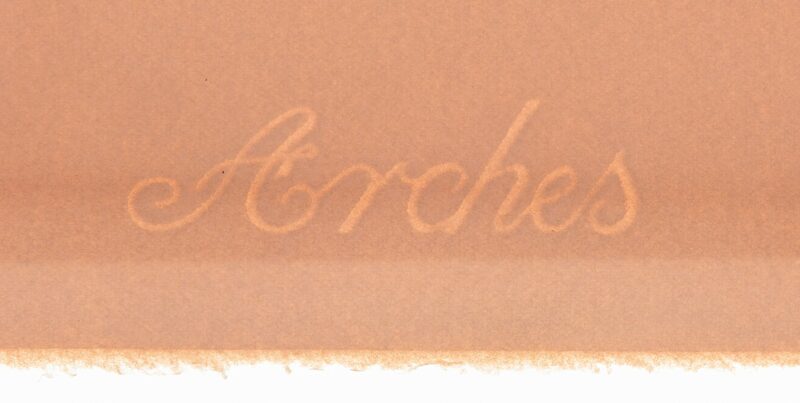 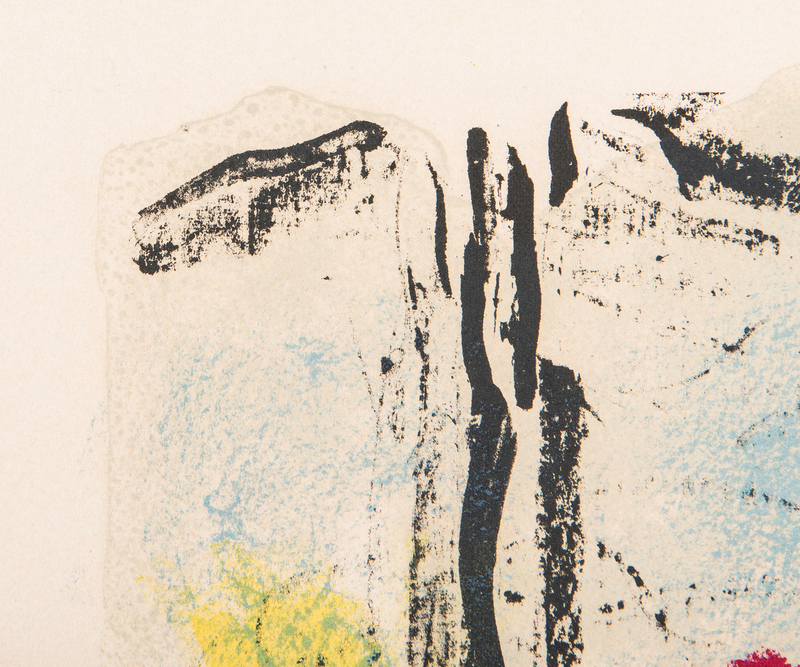 Printed on Arches watermarked wove paper, watermark visible center right side matte margin. 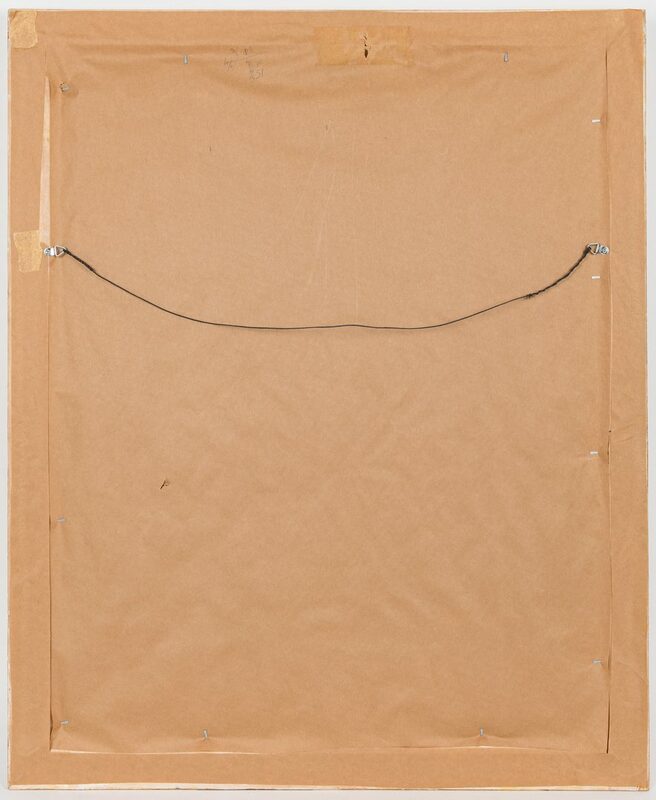 Created October, 1969. 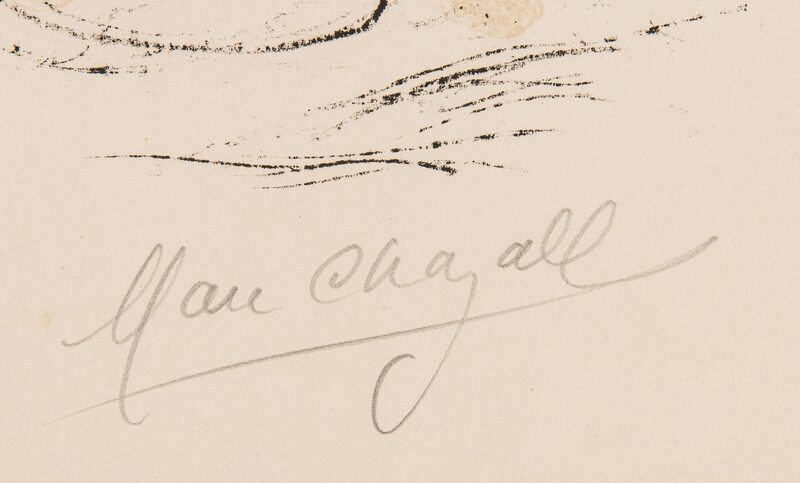 Pencil inscription en verso at lower center "Red Bouquet M 580." Mounted with corner points to mat and housed in a contemporary gilt wood frame. 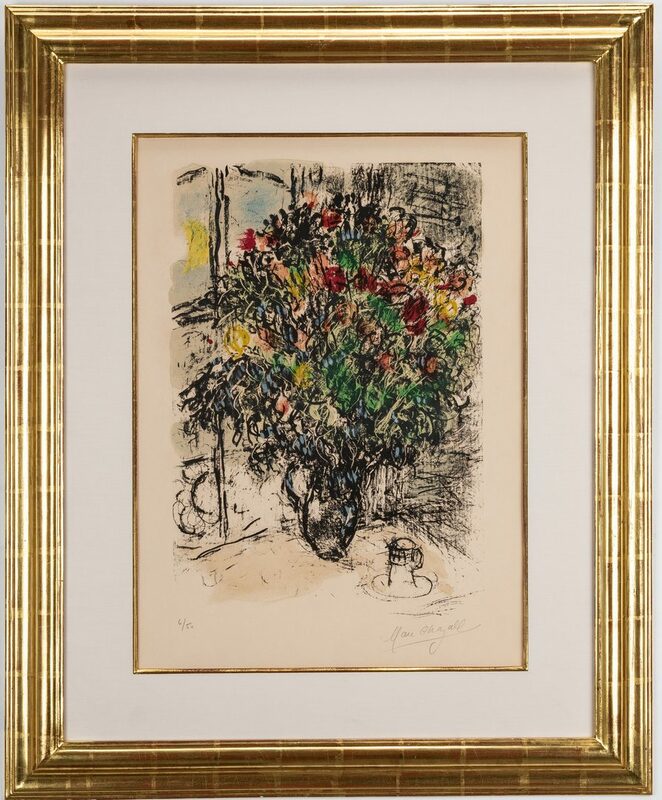 Sheet: 29 13/16" H x 21" W. Image: 22" H x 15" W. Mat: 25" H x 16 5/8" W. Framed: 38 1/2" H x 31 1/2" W. Note: The original Certificate of Authenticity from Opus Art Studios, Inc., Coral Gables, Florida included with this lot.  CONDITION: Overall very good condition with slight toning to paper and acid burn at mat edges.